Brinner : Have a good mail day! Finally it's mail time. Yesterday was a long day for me, so I felt much better taking the time to edit the photos and set up this post properly. So, thank you for your patience! There's actually an extra letter for both categories. Normally I would've added them to next week's Mail Monday post, but since we're a day late this week, they are added here instead. As you well know, I have a soft spot for airmail. And when you combine that with my tendency to sometimes go a little overboard with the decorations, this happens! 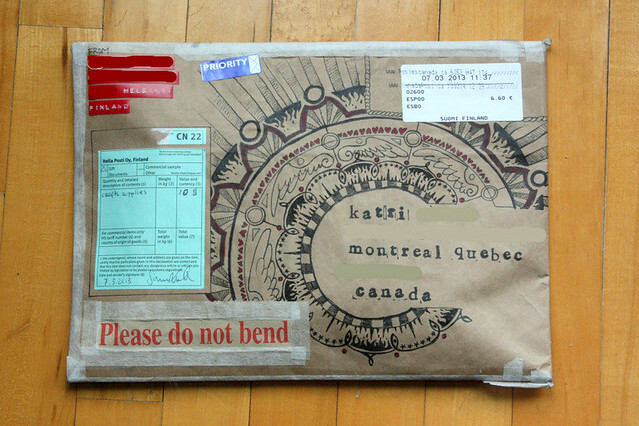 The envelopes are from my collection of vintage airmail envelopes. I really like the signs of the zodiac stamps. They are really great. I've mentioned before how some of the Canadian stamps are a bit boring (the ones in regular circulation), but these are amazing. I love the bold colors and the funky designs. They've actually released four designs a year, so this year you can finally get the last ones. I bought a few souvenir sheets so I could have all the different kinds. I really like combining them with a bunch of others for some added color. I'm especially happy with the top envelope. I made it from a vintage dress pattern and just love how it turned out. I've used the same material before and always love the results. I think I'll need to experiment a bit more with it. Also, please note the super-awesome vintage camera tape I just got from my sister! I used more of the lace tape on these ones. I got the pale blue you saw last week as well as the white one. There were other colors too, so I might drop by to see if there are any left. I think they work nicely. I was a bit skeptical at first. I thought it might be too girly, which really isn't me. But, it's for crafts, not to wear, so I think I'm safe. OH! I almost forgot to mention, these two are going to people who sent me their addresses on my birthday! Finally something more traditional from me. 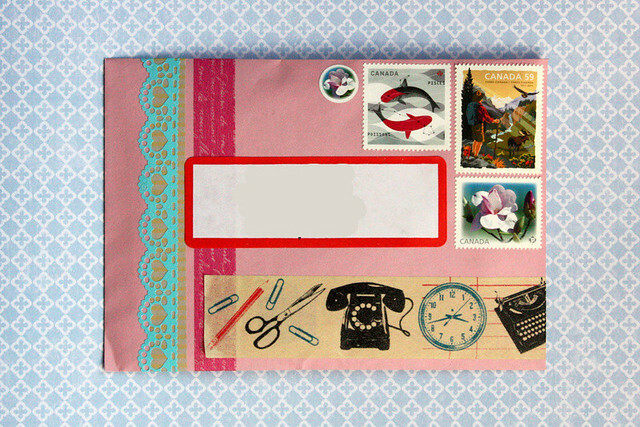 The washi tape+banner+stamp sticker combo is an oldie but goodie. But see how the zodiac stamps work for everything! I was floored when I got this in the mail. It's from my uber-talented sister. I'm trying to figure out how to frame this envelope. Look at the back too! 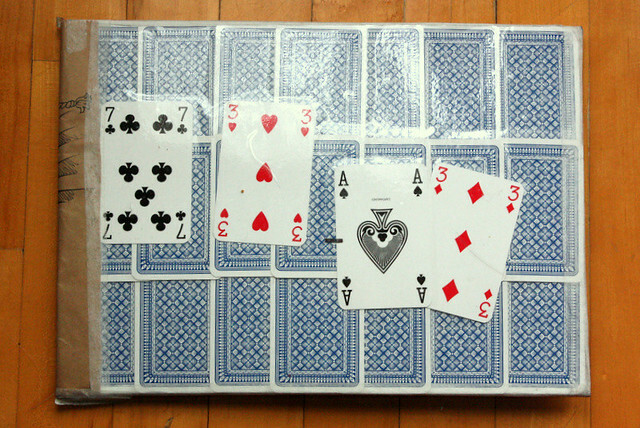 It's made from playing cards! And the cards show the date of my birthday! Another gorgeous one from Susanne! 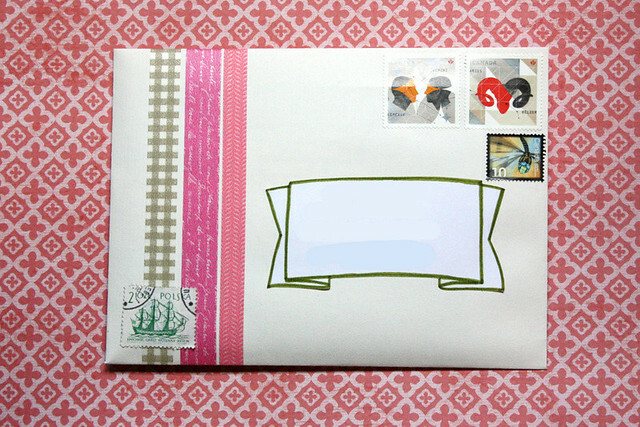 I just love these envelopes! And please note the crazy broccoli stamp. I think this was an amazing week of mail, worth waiting the extra day, I hope... Please remember that if you're here specifically for the snailmail posts, you'll want to follow me on Instagram (@brinnertime) I know I say this all the time, but I share a lot of sneak peeks of the projects I'm working on and sometimes show a peek inside the envelopes too. So, how has your week started? Thank you! They were a lot of fun to put together. Thank you Wanda! 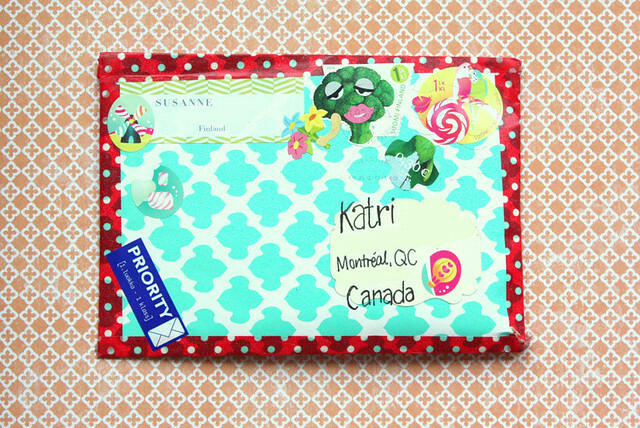 I put quite a bit of time selecting the stamps for each letter, so I'm glad to hear you like them!